Dr. Andreas Fath announces his findings at the Tennessee Aquarium Conservation Institute. 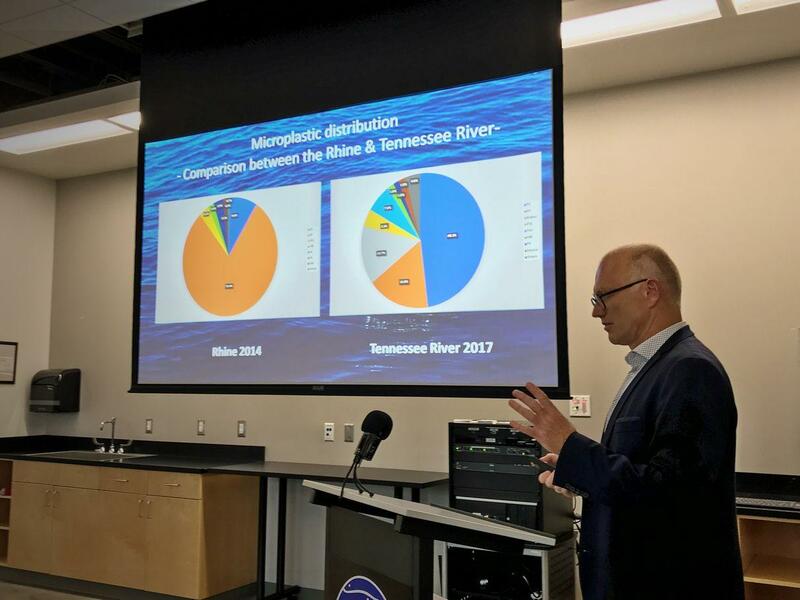 Researchers with the Tennessee Aquarium Conservation Institute say they’ve found the Tennessee River contains staggering levels of microplastic pollution, possibily due to littering and landfills. A German chemistry professor, Dr. Andreas Fath, partnered with local scientists to gather water samples all along the river. His method of gathering samples was a literal endurance test: he did it by swimming the entire 652-mile length of the river, with a goal of not only collecting data, but also generating publicity via his stunt.